Recently, a client called to see if I was available to speak at a company meeting that she was organizing in 2012. The objective of the meeting, she told me, was to drive a stronger sense of engagement within the company as a whole. “Sure,” I replied, “this sounds like the perfect situation for my program on Leadership Personal Branding. I recently ran across a fascinating article about “The Power of Three.” The basic premise of the article is that three; is an important – almost ‘mystical’ – number for a whole host of reasons. Three shows up in mythology: three fates, three muses, three graces. 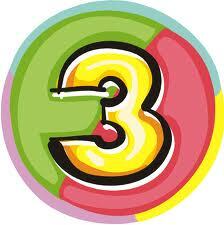 Three is a prevalent component of fairy tales: three wishes, three little pigs, three bears. Three is enough to create a series – a pattern of cause and effect. There are three stages of truth: first a concept is rejected, second it is violently opposed, third it is accepted as self-evident. Three is a basic structure of life: carbohydrates, protein, fat: electron, proton, neutron. There are three dimensions of time: past, present, future. And three forms the basic structure of stories: beginning, middle, end.